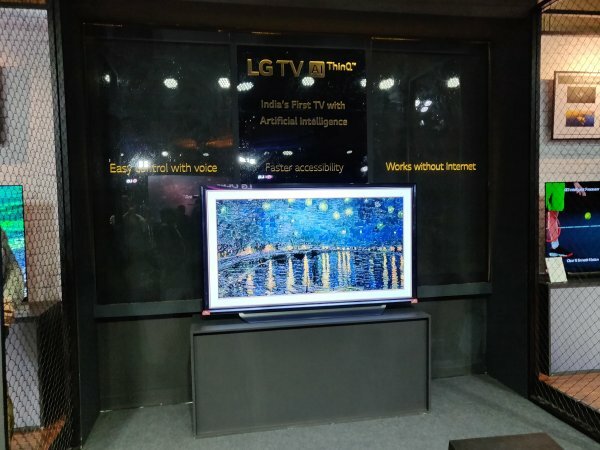 LG today launched 25 televisions in India featuring Artificial Intelligence (AI) ThinQ. The new range includes various models in OLED, Super UHD, UHD and Smart TV category. With AI functionality, the consumers can directly speak into the remote to control TV functions and seamlessly discover and play content. These TVs doesn’t only work on fixed voice commands but also understand the intent of query before providing a search result. The TV not only Listens and Answers but Listens, thinks and Answer. Additionally, there are set of 800+ commands which works even without internet connection. The OLED TVs are powered by ? (Alpha) 9 intelligent processor which provides true-to-life images with incredibly rich colors, sharpness and depth. A core element of the ?9 processor is the four-step process of noise reduction that drastically reduces grain and banding noise. The improved color correction algorithm allows for more natural colors by expanding the reference color coordinates seven-fold. ?9 processor is designed to support high frame rate (HFR) for producing smoother and clearer motion images at 120 frames per second for better rendering of fast-action content such as sports and action movies. Because of the new image processor, 2018 LG OLED TVs can display any content at maximum quality for a truly spectacular viewing experience. These TVs are fitted with Dolby Atmos which provides object-based 360o surround sound that beautifully captures the movement of every object in a scene. These televisions also support the full palette of HDR, including Dolby Vision, advanced HDR by Technicolor, HDR10 Pro, HLG Pro, creating a true cinematic experience at home. LG’s ThinQ offers an interactive experience in the new smart TV lineup that delivers intelligent voice-activated control and connectivity. With a streamlined setup process, viewers can seamlessly connect to gaming consoles and external sound bars. Other unique features include Mobile Connection Overlay that enables the customers to view both the mobile and television screens simultaneously. Customers can also access Google photos & drive on LG TV with help of cloud photos and videos App. The 2-way Bluetooth feature on these televisions allow users to listen to the TV audio wirelessly on compatible audio device and connect the mobile with LG TV in order to enjoy music. LG has also unveiled their 2018 range of premium 4k SuperUHDTVs. While continuing with the tried and tested Nano Cell Technology, it has many new additions namely ThinQ AI, ? (Alpha) 7 processor, Dolby Atmos and Full Array Dimming. By combining Nano Cell, Full array dimming backlighting nd the ? 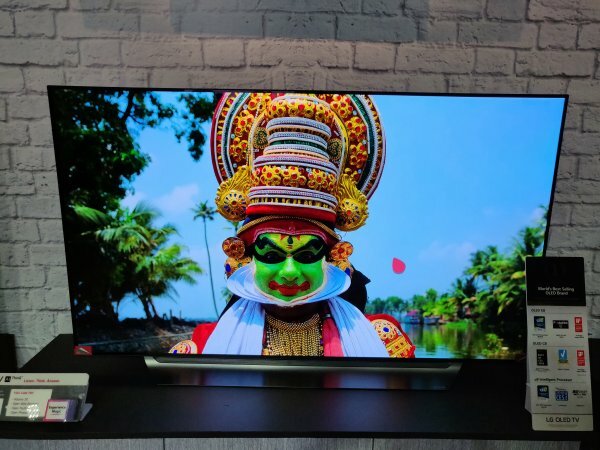 (Alpha) 7 processor, LG’s 2018 SUPER UHD TV offers a host of technological advantages including deeper blacks, enhanced image rendering, improved shadow details and accurate color from wide viewing angles. 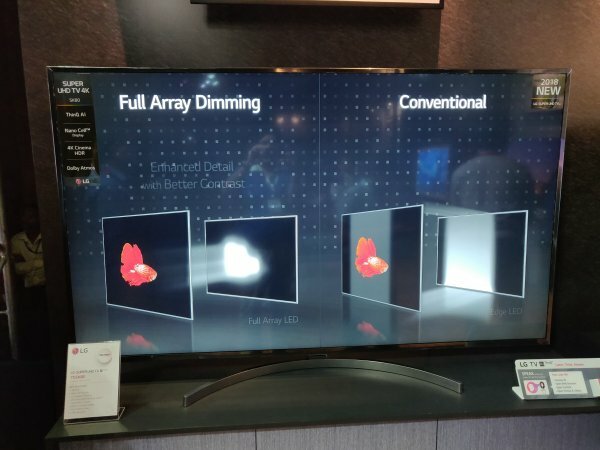 This year’s SUPER UHD TV with Full array dimming allows for denser backlighting zones throughout the display, contrary to edge-lighting where backlights are positioned on the edges behind the TV panel. LG’s technology improves black levels by independent control of LED light zones, improving shadow details and reducing light bleeding resulting in enhanced contrast and superb picture quality. Nano Cell Display reveals a billion lifelike colors, 64 times richer than conventional TV. 2018 OLED and SUPER UHD TVs from LG feature 4K Cinema HDR, which introduces a truly cinematic experience to the home, regardless of the format. The new range uses the latest webOS, user interface which provides seamless, intuitive navigation with Magic Remote’s point, click, scroll and voice commands. LG AI TV is available in OLED, Super UHD, UHD segment and price starts from Rs. 32,500 to 29,49,990 across sizes starting from 80cm (32inch) till 195cm (77inch).